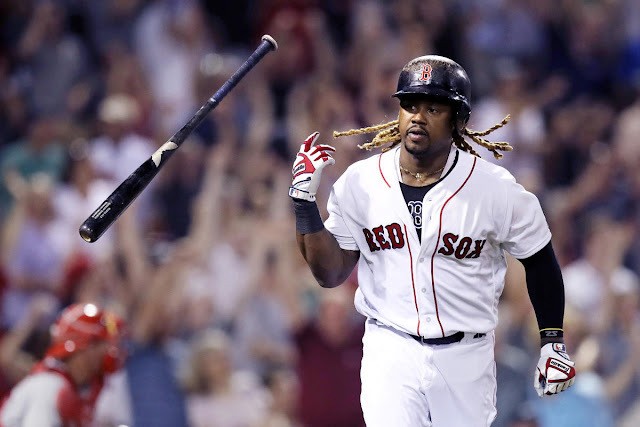 A few weeks back, fellow BBB writer Andrew Natalizio wrote an awesome piece (that you should check out if you haven’t yet) that really got me excited for baseball season to start. It made me think about why I love baseball and sports in general. It may seem silly, but sports give me hope. A sport, unlike real life, allows for a release from your everyday struggles. Every year begins new and any previous mistakes or missteps are erased. A lot of the time, the excitement and hope in the off-season is even better than the end result. Similar to hitting the lotto, all the fun comes in daydreaming about the what if’s that could come. 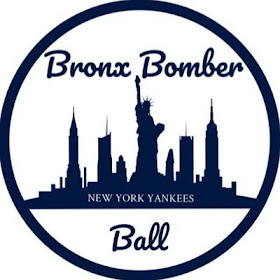 So like a guy who just bought his three-dollar Powerball ticket, lets fantasize about the New York Yankees 2017 what if’s. What If this was the year Michael Pineda put it all together? Way back in 2011, as a rookie, Pineda was the third youngest player in the American League and an All-Star. After missing over two full seasons Pineda returned in 2014 for the Yankees and although he again missed time with injury, he posted a 1.89 ERA in 13 starts. Pineda stayed relatively healthy in 2015 and 2016, but his performance was mediocre at best. Pineda’s biggest issue at this point is staying healthy and staying consistent. His stuff at times can be electric, but the mental part of the game gets the best of him. Now that he has avoided major injury for nearly two years, could Pineda finally be ready to take the next step? 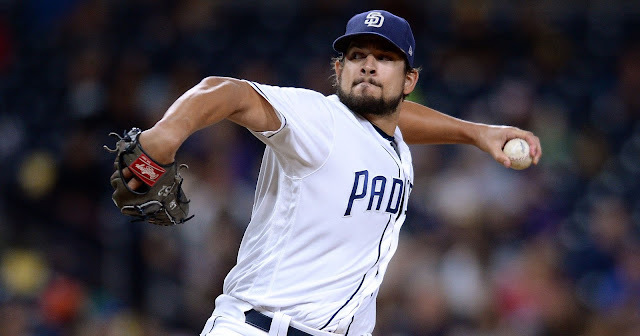 Could he finally return to his 2011 form and develop further into the ace pitcher he was once projected as? If he does, the Yankees would be looking at a pretty solid 1-2 punch at the front of their rotation with Tanaka and Pineda. What if Luis Severino really is a front-end starting pitcher? Speaking of electric stuff, Luis Severino certainly falls into that category. We’ve seen the good, the bad, and the ugly out of Sevy, but the Yankees' brass is still high on him. Severino’s main issue has been his secondary pitches. For the most part he has been a two-pitch pitcher, which just doesn’t work as a starter at the major league level. The word out of Yankees camp is Severino has developed a change up and it’s pretty nasty. If Severino can revert back to his 2015 form when he pitched to a 2.89 era, along with Pineda finally turning a corner, we have officially turned our biggest weakness (starting pitching) into a strength. 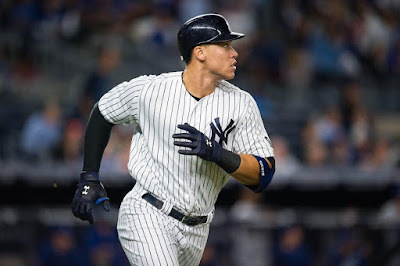 What if Aaron Judge really is the next Giancarlo Stanton? I have admittedly been very critical of Judge. His strikeout rate is alarming and I guess my negative attitude is just a defense mechanism against feeling disappointed if he doesn’t pan out. But, what if he does pan out? What if he is able to cut down on strikeouts and turns into the anchor of the middle of this lineup for the next decade. He is the most physically intimidating hitter I have ever seen at the major league level. Judge could singled handedly change the way pitchers and managers strategize the lineup as a whole. 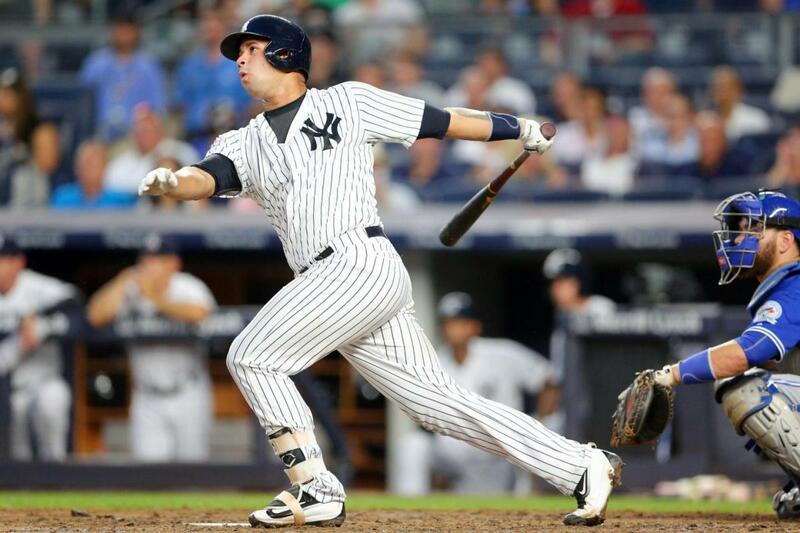 What if Gary Sanchez continues his play from 2016 into 2017? Sanchez burst onto the scene last year and became the talk of the league. His mammoth home runs, clutch hits, and rocket arm almost saw him steal the Rookie of the Year award from Michael Fulmer. It would almost be unfair to presume that is the norm and to expect him to do that every time he takes the field. But what if he does? What if teams can no longer steal on the Yankees and he is picking off runners from his knees regularly? What if his clutch hitting and power wasn’t an aberration, but just a new norm? Judge and Sanchez would be bash brothers 2.0. 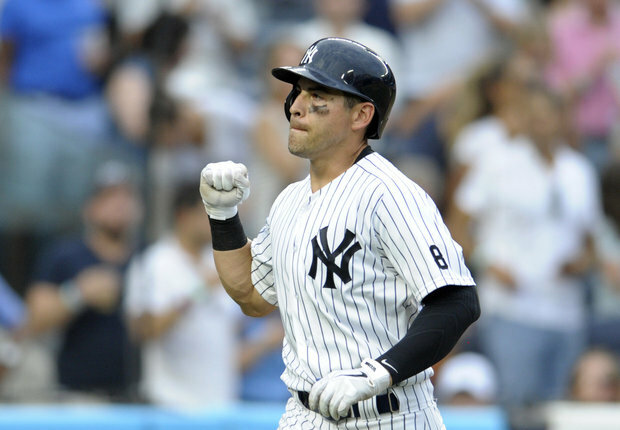 What if Jacoby Ellsbury hits like it was 2011? In 2011, Ellsbury hit 32 home runs and batted .321. Could you imagine that bat at the top of this lineup? I can, hell I am right now. Ellsbury putting up MVP offensive numbers would make it impossible for people to pitch around our new bash brothers. Not to mention Ellsbury swiped 39 bags. So if he isn’t trotting out a home run, he’s disrupting the starting pitcher from first base. His combination of power and speed make even the most casual baseball fan drool.